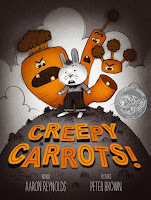 We read Creepy Carrots by Aaron Reynolds! Great book! I'm so amazed at how it holds the students' attention. 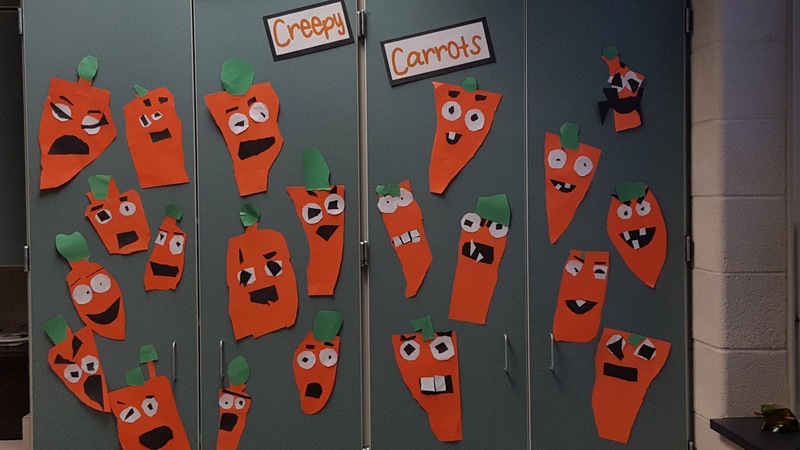 Then we made carrots! The students had to cut the shapes and it was so difficult for some of them! Perfect for working those fine motor skills...and they turned out so cute! 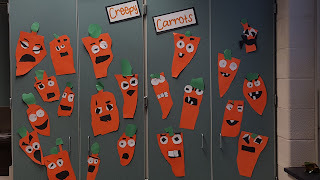 Some of the students made the carrot talk about why all the carrots were happy in the end! We also discussed the story using Puppet Edu to create a simple video about this amazing story! We shared them on @Seesaw to show all the parents! So fun!